The AlcoSense NF Breathalyser fulfils the French legal requirement ruling that, from the 1st of July 2012 all vehicles travelling in France must carry a breathalyser kit complying with the NF standard. 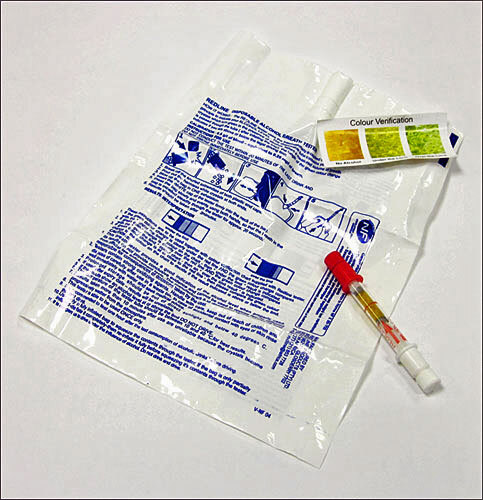 AlcoSense is one of the most technically advanced and accurate product of this kind on the market. No bigger than a cigarette, it is designed to warn when the French drink drive limit is reached, 0.5‰BAC compared to 0.8‰BAC for the UK drivers. It features a blow bag that regulates the quantity of breath in order to give an accurate reading. Crystals contained in the tube change colour in the presence of alcohol, from yellow to green. If the green colour extends to the red line, than the user is over the limit. Simple! 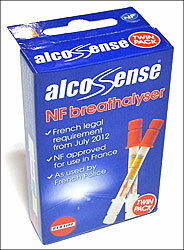 To comply with the law you must have an NF approved breathalyser kit (unused), in your vehicle at all times. In practice you need to carry two in case you are stopped and asked to use one; then you can drive off with the spare. Full instructions are included in the package. If you are heading to France, don’t leave without AlcoSense; it has all the official requirements, it is accurate and easy to use.